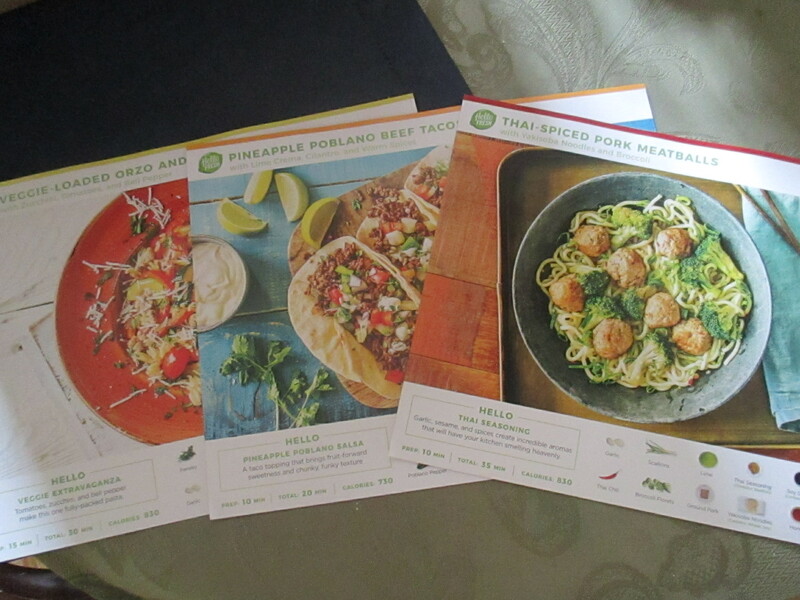 I would have never thought to try Hello Fresh if it wasn’t for a gift card they sent me in the mail for $50 off – i.e. $25 off my first 2 boxes. So, I figured why not! I ultimately ended up getting a better deal when I went through the registration process and then didn’t complete the order. They sent me an email for $35 off my first box with just one hitch, I had to use the code within 48 hours. I made it a point then to definitely finish my order. After a little navigating around the website – one too many pop-ups appeared that navigated me away from where I wanted to be – I was able to select my meals. My first reaction… This is it? I don’t know what I was expecting but I guess I wanted meals that were a little more “exciting.” Oh, let me just say, I selected the classic plan for 2 people and 3 meals a week which is approximately $60/week, with my discount I paid a few pennies less than $25. I figured I could have dinner and then take the leftovers to work the next day for lunch. 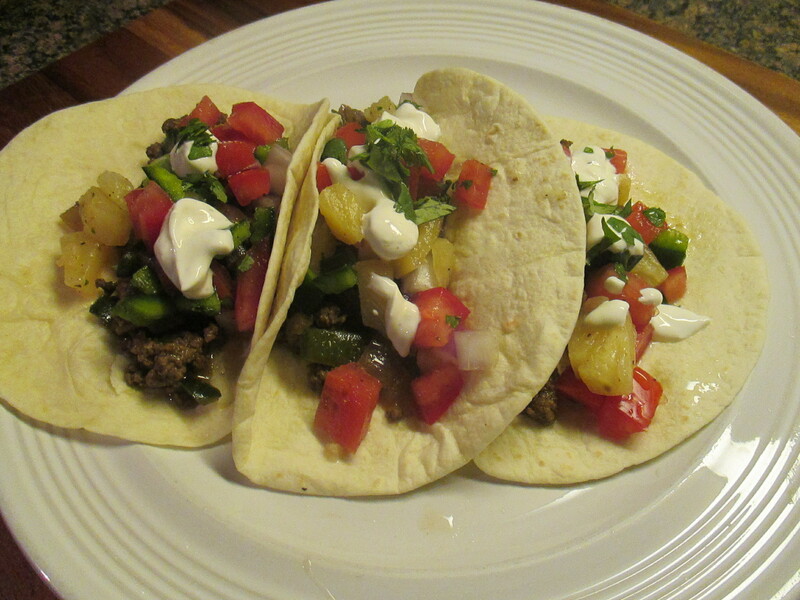 I ended up settling on these three meals: Thai-Spiced Pork Meatballs, Veggie-Loaded Orzo and Sausage and Pineapple Poblano Beef Tacos. And here’s my box. It arrived on my selected day. Thankfully, my mail arrived early that day and while I could have cooked that night I had some leftovers in the fridge that I wanted to finish up. 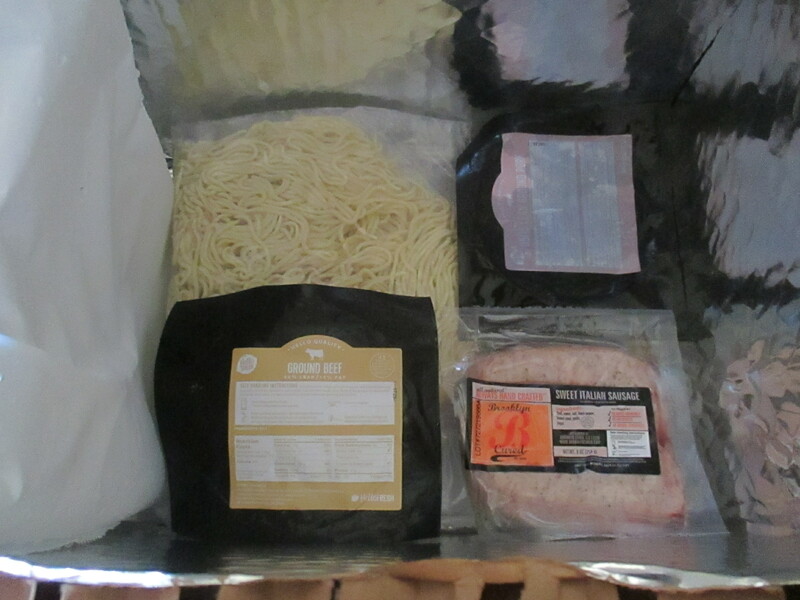 I was thinking that everything would be loose inside of the box and I would have to pair of all the ingredients to the recipe, but, much to my surprise and something I loved, all of the ingredients were grouped together in these brown bags and the meats were below in between two ice packs. What’s really nice is that you don’t have to measure. 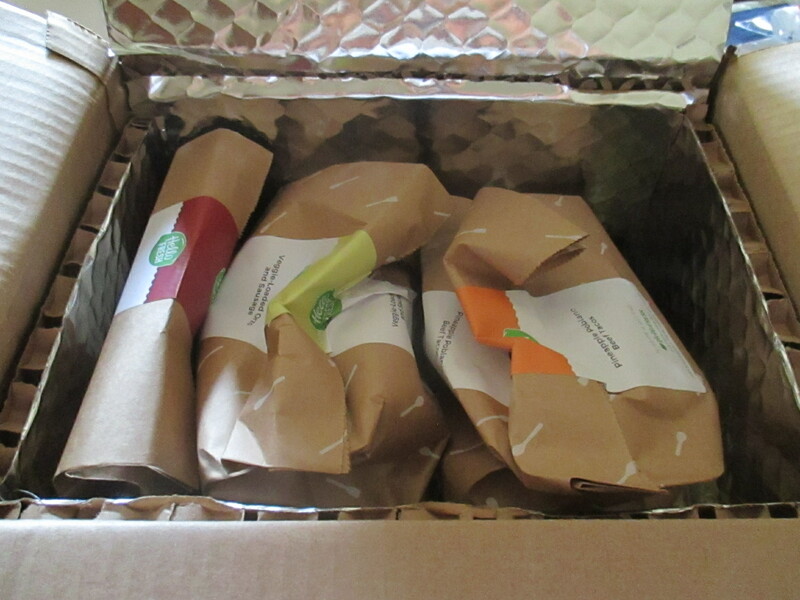 All of the seasonings are pre-measured and packaged. There’s absolutely no waste. But, you do have to dice, slice and chop the vegetables. 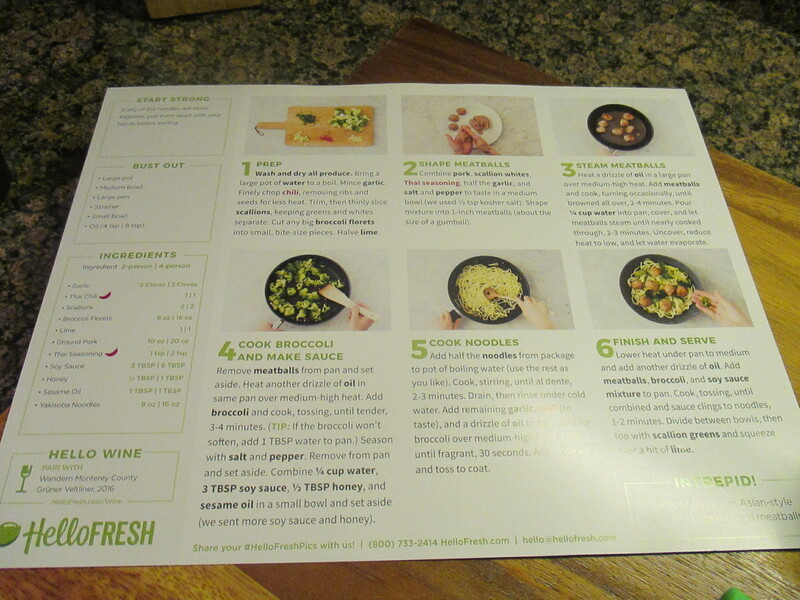 And the recipe cards are oversized and offer pictures of each step with thorough instructions. Including prep and cook time which were accurate. 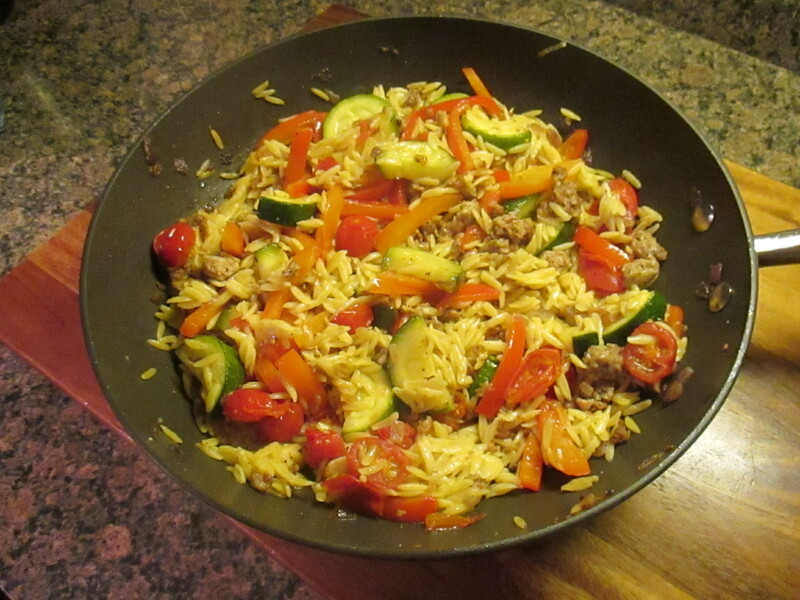 And while all three meals were good, my favorite was the orzo. 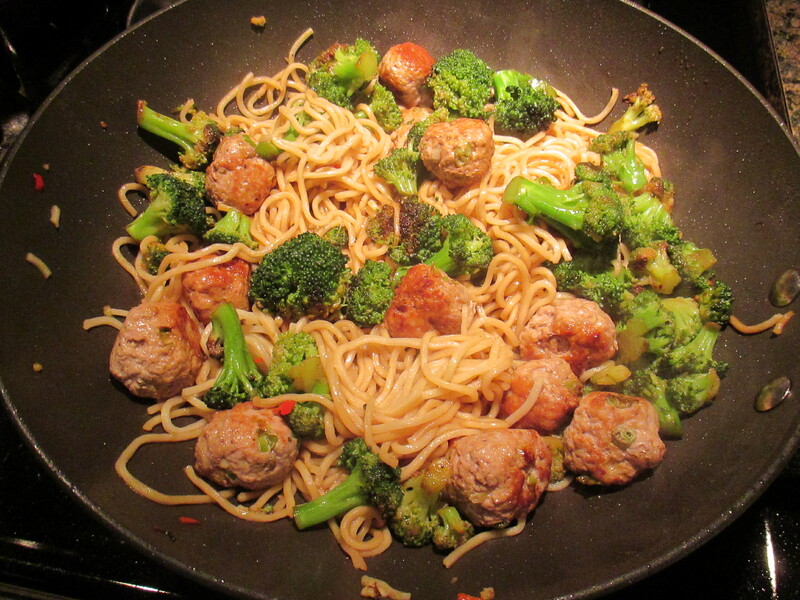 I think it was because it was the one meal that didn’t have a spice packet, so most of the flavor came from the vegetables and sausage and it’s a meal that I could easily recreate myself. With each meal I had more than enough for dinner and lunch the next day which was great. There isn’t much that I didn’t like. Maybe the vegetables that I got wouldn’t have been the ones that I picked, but, it’s not like they were bruised or ended up rotting before I got to use them. But, I would have preferred that my garlic wasn’t peeled. It looked like it had been poked or something. 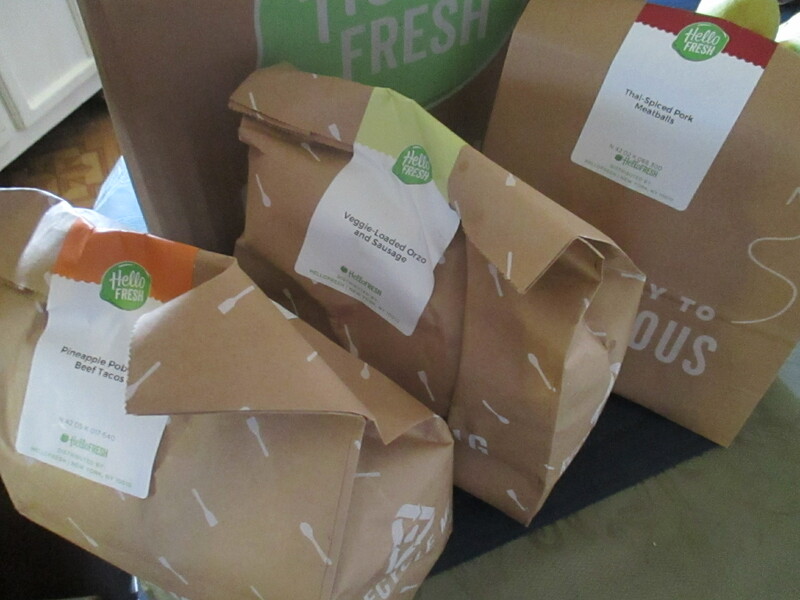 The final verdict… While Hello Fresh may be good for some, it’s not for me and I opted to cancel my subscription. It’s for various reasons. The price I paid was great, but, the normal price of $60/week is a little too much for just me myself. It’s odd, but, you would think that having the meals waiting for me at home to cook would take some of the pressure of what to cook off but it actually kind of made it worse. Almost like I was being forced to cook. Normally I’ll cook and make enough so I can have leftovers for a few days and with this it was dinner for one day and lunch for the next. Which meant I was cooking every day and cleaning pots and dishes and my kitchen as well. Not something I normally do every day. When I did cancel they had a list of possible reasons and I selected that it was the price, the next screen then gave me the option to reduce the frequency of receiving a box. I could have chosen every 2 weeks or every 4 weeks, but, I still wasn’t interested. I will say though that the meal selections for the following did look really good and I was tempted but no. When I think about how much I spend on groceries each week Hello Fresh is just not cost effective for me. That isn’t to say that I wouldn’t try another meal kit delivery service though. 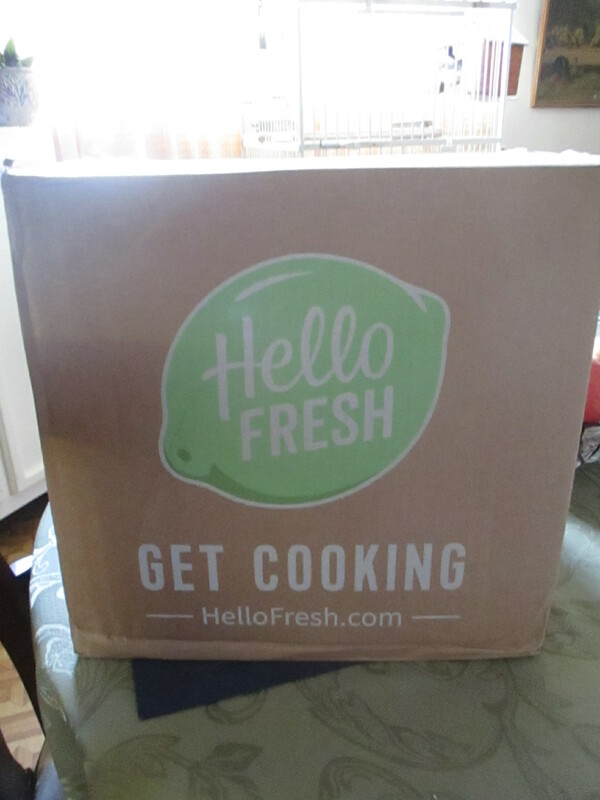 So, have any of you tried Hello Fresh? What did you think?